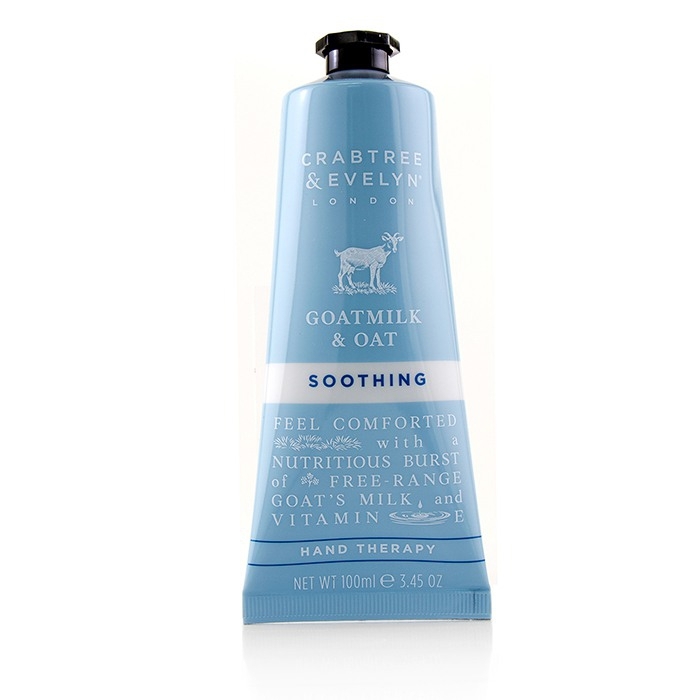 You can fill out an application to receive notifications on available "Goatmilk & Oat Soothing Hand Therapy". In stock more 10 74 pc. A fragrant, deeply hydrating & soothing hand cream. Formulated with nutrient-rich, free-range Goat's Milk. Blended with Oak Kernel Oil & Vitamin E for moisturizing benefits. Helps calm sensitive or reactive skin & relieve dry skin. Repairs damage due to dryness & restores radiance. Infused with a sweet scent to relax your mind. Leaves hands & nails soft, nurtured & comfortable.